Follow the signs to Nürburgring / Adenau. In Adenau go on the market square (opposite EURONICS ELECTRONIC STORE) towards Wimbach / Kottenborn. 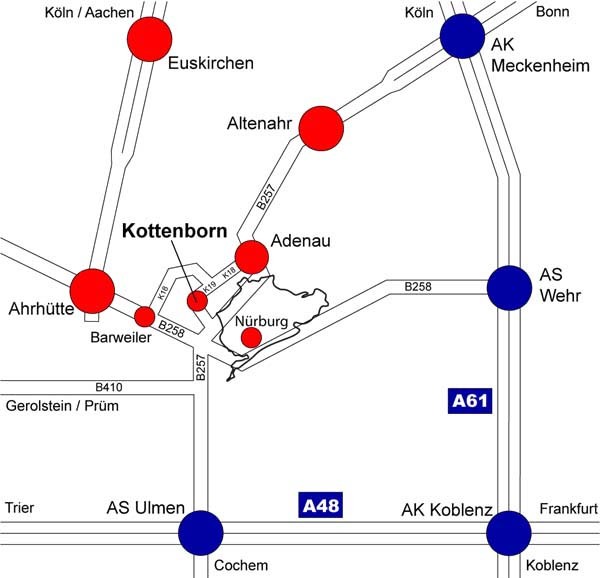 In Kottenborn keep right. After the first left turn you will see our house on the right side. Follow the B258 and turn onto the B257 towards Adenau. After about 800m, turn ahead the Nürburgring bridge left into the forest track. 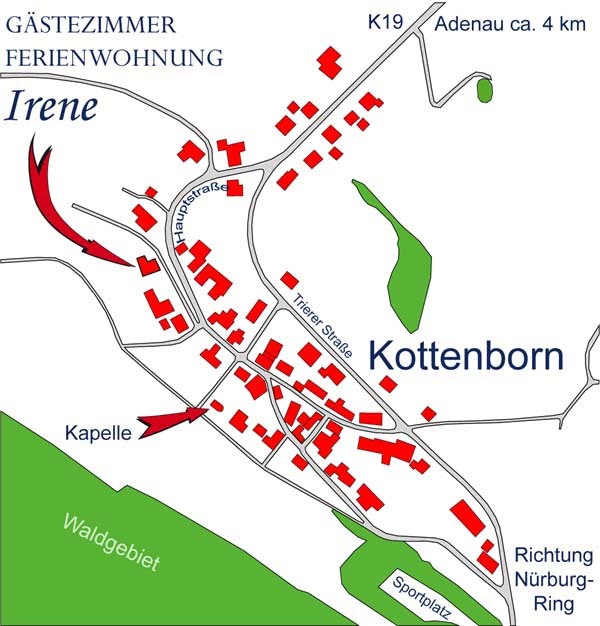 In Kottenborn you keep left and see our house after about 600m on the left. Follow the B258 and turn right behind Barweiler left on the K18 towards Wimbach. In Wimbach you keep about 100m after entering the right and follow the signs to Kottenborn. Here you can download the directions as a PDF file!